Jon Metzger's The Art and Language of Jazz Vibes is THE complete method for learning and understanding the nature of playing jazz vibraphone. This book offers a warm, understanding, and good-humored approach to developing all facets of two- and four-mallet improvisation skills and essential jazz vocabulary through easy and intermediate exercises. This incredible book covers countless topics including chord symbols and voicings, pedaling, group and solo playing, self-accompaniment, a how-to on transcribing, references, and a host of other topics. This is a MUST HAVE jazz vibe method book. 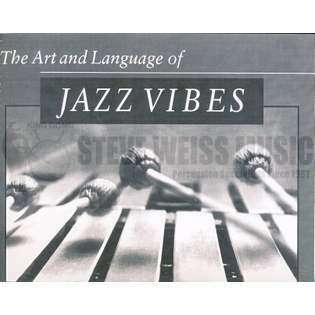 Discover the true joy of jazz vibes with Jon Metzger's The Art and Language of Jazz Vibes . This book/CD is the definitive guide to learning jazz vibes and understanding the elements of jazz. Highly recommended!